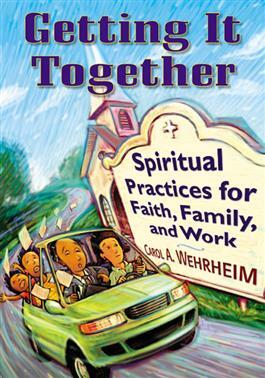 As modern persons struggle to cope with the many commitments that consume our lives and the increasing--and seemingly insurmountable--demands on our time, Carol Wehrheim offers this much-needed work. In Getting It Together, she offers a direction toward relief, showing how a Christian foundation of faith can provide a sense of balance amidst the struggle. Each chapter begins with a selection from Scripture and concludes with a spiritual discipline. Including both a participant's section and a leader's guide, Getting It Together is ideal for group study.